Home / Stock Picks / Hot Stocks / MLK Day 2019: Is Martin Luther King Jr Day a Bank Holiday? MLK Day 2019: Is Martin Luther King Jr Day a Bank Holiday? Is Martin Luther King Jr. Day a bank holiday? The day is observed on the third Monday of each January in honor of the legacy that Dr. King left behind as he left his mark in the civil rights movement during the 1950s and 1960s. He helped to eliminate hateful and discriminatory Jim Crow laws and played an important role in propelling the re-integration of African Americans into the rest of society. While there is still a lot of work to be done in the U.S. and the rest of the world in terms of honoring Dr. King’s legacy, the day is a powerful reminder of how much listening to other people’s stories and their background can help us go a long way towards understanding them. More importantly, Dr. King helped to eliminate the racial barriers that had been added to American society to divide and oppress people. Martin Luther King Jr. Day is indeed a bank holiday, which means that most banks will shutter their doors on the day, with a few exceptions. It also means that a lot of federal buildings will no longer be open, including post offices and workers for major federal agencies. There are plenty of events that will take place all throughout the country to honor Dr. King. Look into what your area is doing and become involved. 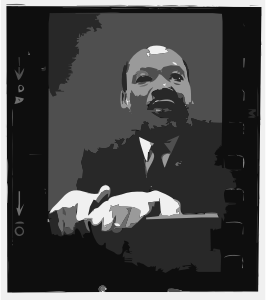 Article printed from InvestorPlace Media, https://investorplace.com/2019/01/is-martin-luther-king-jr-day-a-bank-holiday/.